Skechers' marketing pitch: Next generation of Meb's signature racing shoe is better than ever. Skechers' signature lightweight for Meb Keflezighi is also their most expensive. A no frills shoe with an efficient ride, although the heel fit and midsole design needs much work. Shoe flexes in the wrong place, heel counter can potentially irritate. 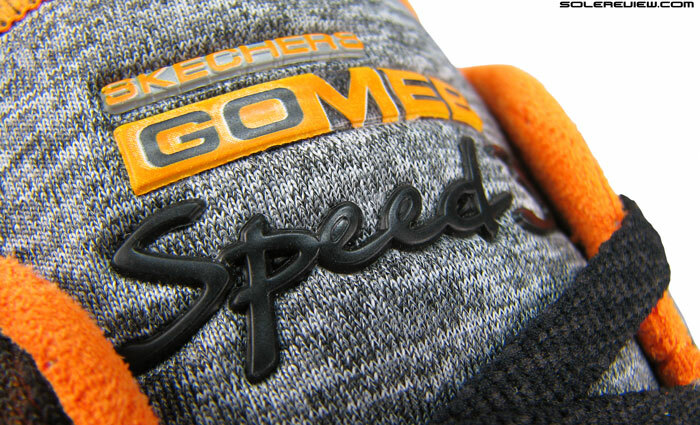 The GoMeb Speed is an anomaly in running shoe tradition. How so? We’ve got a stack of old running magazines, catalogs and what nots dating from 1990. When you look at them, it’s amazing to see how far shoes have come, and which technologies and brands have stood the test of time. While carefully thumbing through all those pages, there’s one thing we found rather peculiar, but made sense when you look at the bigger picture. In all these years, there has been a glaring absence of signature athlete models when it came to running footwear. Now think about this for a moment. Running shoes are how all these brands got their break. Reebok (Foster & sons) at the turn of the 20th century. Adidas in the twenties. And of course, Nike, starting their upwards climb selling Onitsuka Tigers from a van. Running products also happen to be the biggest part of a brand’s global performance footwear sales. And yet, in a world where big ticket endorsements rule the roost in sports such as basketball, tennis and football, running hasn’t been able to get its hands in the candy jar. A memorable exception would be Nike’s golden track spikes for Michael Johnson in the mid 90’s. There was a road version called Zoom JST which followed, and it did have Johnson’s signature scribbled across the side. Lovely shoe, super lightweight but with an outsole which lasted only a few weeks – used to split into two, no kidding. More recently, Puma features Usain Bolt in many of their ‘Forever Faster’ marketing campaigns, but really, none of their FAAS models are signature Bolt make-ups meant for mainstream consumption. Being a signature (running) athlete shoe, this is an uncommon example. With that context supplied, the Skechers GoMeb Speed 3 sits in a very lonely territory, both within the industry and with respect to its own assortment. It happens to be the only widely available shoe on the market which bears the name of the athlete endorsing it. And at the same time, it is the only distance road racer within Skechers’ tight assortment. It is also the brand’s most expensive running shoe at $120, a twenty above the 2015 GoRun 4. It would be fair to say that GoMeb speed is an important part of Skechers’ performance running aspirations, helping it make early inroads into a highly competitive arena. The fact that Meb Keflezighi won the Boston Marathon wearing the GoMeb Speed 3 makes a stronger case for the latter. And not to be ignored, placing fourth in a very difficult NYC race with the very same shoe. The color we’re reviewing today is the NYC special make-up, and it has been made available ahead of general release. The distribution is still limited, with only a single color selling on the brand’s website and in Skechers brick and mortar stores. 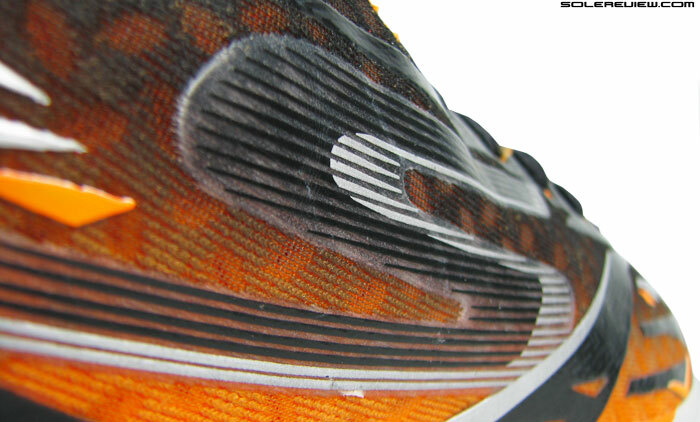 So this Meb stamped shoe – what can we expect out of it? There’s an unwritten Litmus test of sorts at solereview. Wake up early after a night of little sleep, the body and mind unrested. Instead of looking forward to a run, you just want to spend more time sleeping in. Admittedly, once out on the road, the fog clears from your head pretty quickly, but the body doesn’t get the memo. So on such arduous mornings when your legs feel like lead, a shoe which eats up fast miles with minimal fuss is what does it for us. Something which is lightweight, feels efficient in transition and does not distract. Lightweight it is. Just over 200 grams or 8 ounces. Smooth insides make barefoot prancing enjoyable. The GoMeb Speed 3 passes this test, somewhat. The firm but not hard ride makes for great economy of transitions, the snug upper fits well socks or no socks, and it’s very lightweight at exactly 233 gms / 8.2 Oz. Flaws aren’t apparent right away, but after a few runs one realizes that the GoMeb is still very much a work in progress. 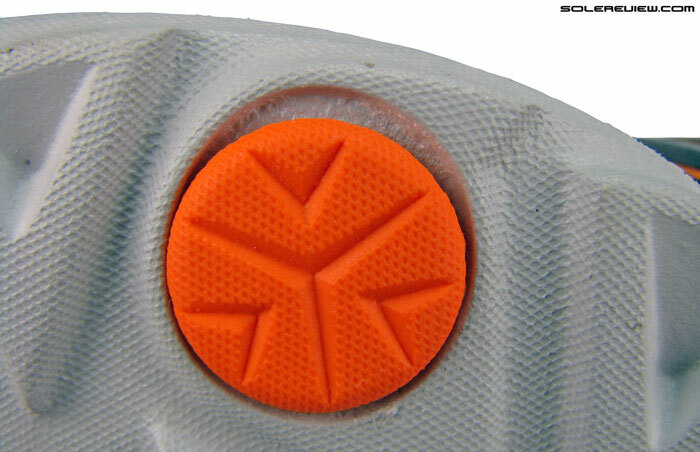 If it weren’t, then the midsole would flex in the right place (it doesn’t ) and the heel counter design would be perfect. It would have been nice to have had a GoMeb 2 handy for comparison. But we didn’t, so we’ll review the GMS-3 on its own pros and cons. No sew upper panels with herringbone surface design. The S logo is redesigned with contrasting streaks. For Skechers, 2015 is all about angular styling, a common design theme which cuts across the GoMeb, GoRun and Ride 4. Sharp looking pieces of soft overlays with subtle herringbone texture are fused all over the upper, and the midsole makes a visual balance with its forward facing Chevrons painted in black. There’s also this refreshed Skechers logo treatment, which happens to be the familiar ’S’ shape blended with fast looking streak lines – something which the new shoe boxes come adorned with too. Soft two-layered, but non-squishy spacer mesh. The upper is well ventilated. However, not in the same airy league as Adios Boost or Streak 5. This is a minimal racer, so construction is kept simple. Materials are better than what we’ve seen on the GRR3 or 4, though. 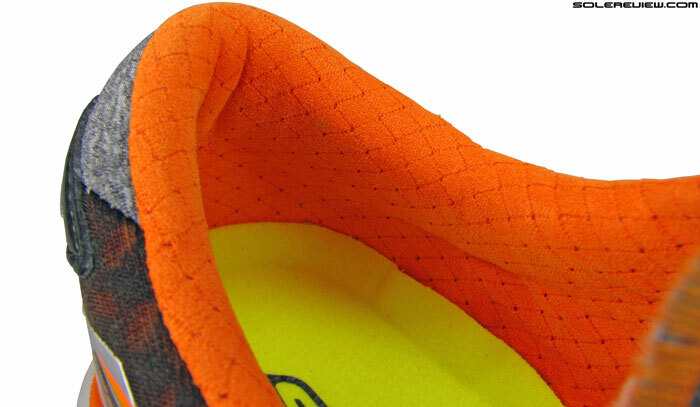 Mesh is an engineered spacer kind which is more vented over the forefoot than rest of the shoe. 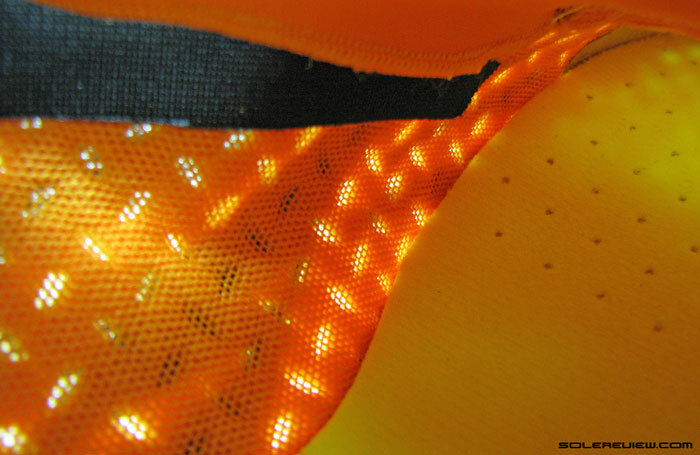 It is breathable, as seen in the picture – the pores let plenty of air and light through from the outside. 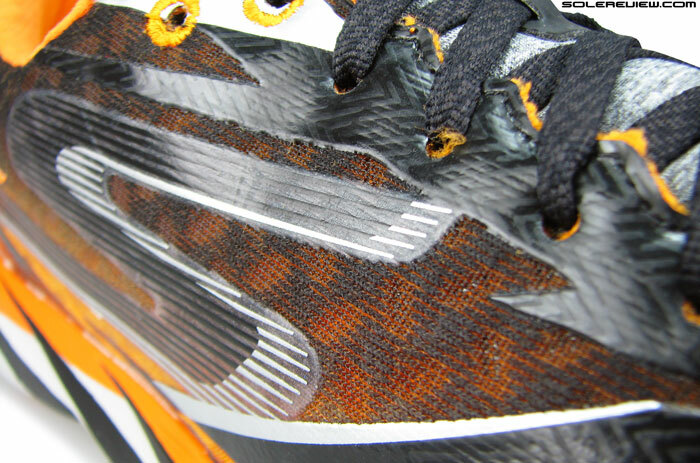 But at the same time, it isn’t adios Boost or Zoom Streak 5 breezy, both of which have a much more open spacer. 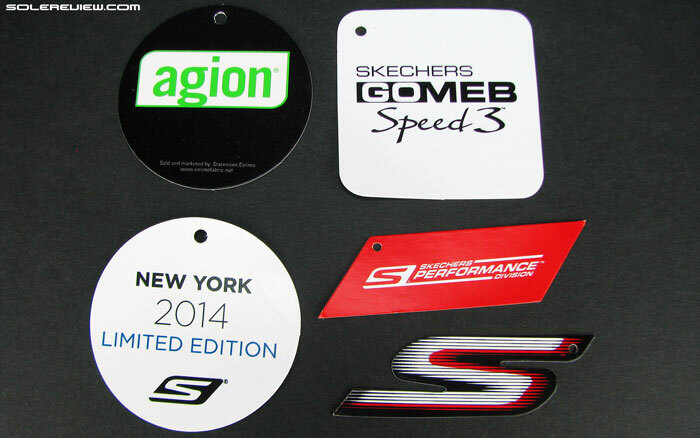 What Skechers uses is little thick, almost padded, but allows for air circulation. Tongue has a wide top flare which prevents slide; structure is thin but with small amount of foam padding. Tongue is uncomplicated, but effective. Upper layer is a thin fabric in grey heather, a texture (close-up image just below) which matches with a small portion on the Achilles. A thin layer of foam follows, and beneath that is a smooth lining. 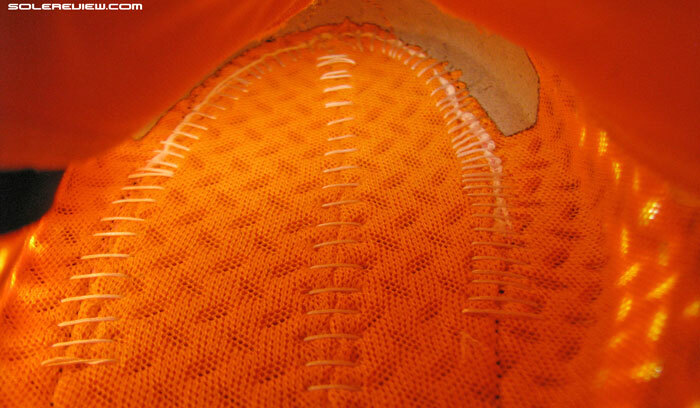 The edges are closed using flat lock stitching, and the whole tongue is slightly stretchy, allowing it to cover the curve of the foot without folds. Squeezing the tongue between two fingers reminds you of the material which a surfing wetsuit would be made of – smooth surface yet padded and semi-elastic. Shoe name welded on heather mesh tongue. 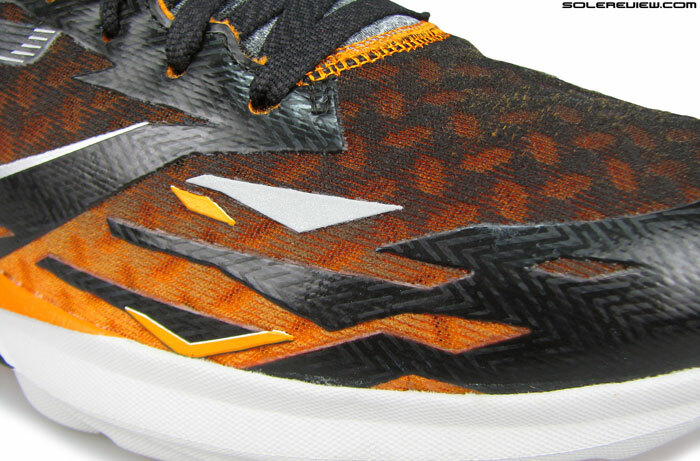 Like the 2015 GoRun Ride 4, the Meb also offers an extra pair of orange laces. 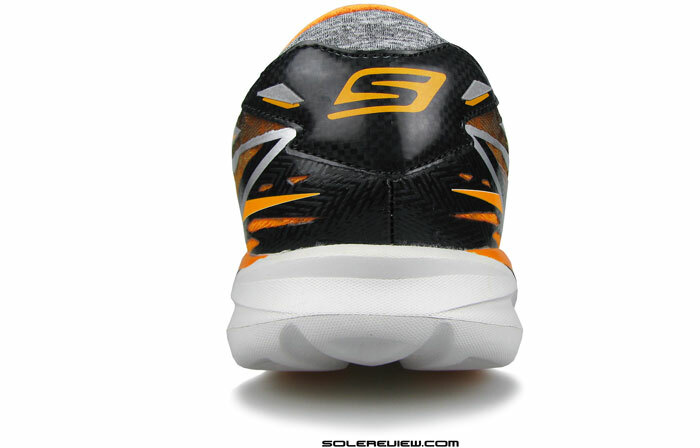 Skechers has managed to minimise tongue slide by making the top flap wide, much like the way Mizuno does it. The sides might not be attached to the upper, but the two ends extend into the gap on either sides, filling empty spaces up. In lack of any space to slide into, the tongue stays put, more or less. The raised branding detail on top is a nice touch, and so is the stitch-less lacing loop. 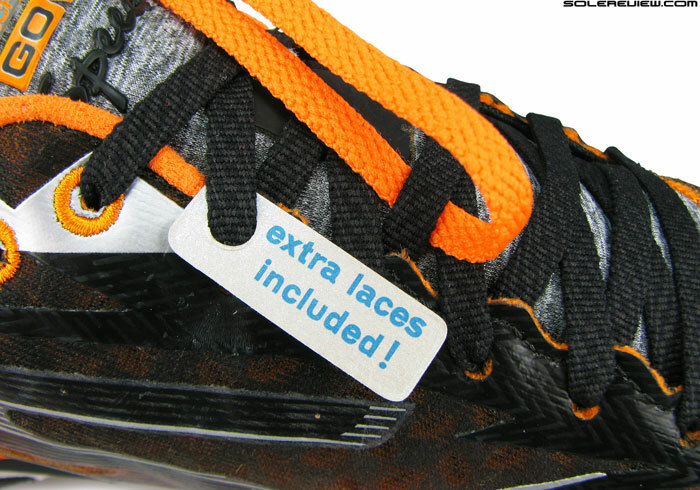 And like the GoRun Ride 4, the Meb comes with an extra pair of laces. Heel is rigid – has an internal stiffener. 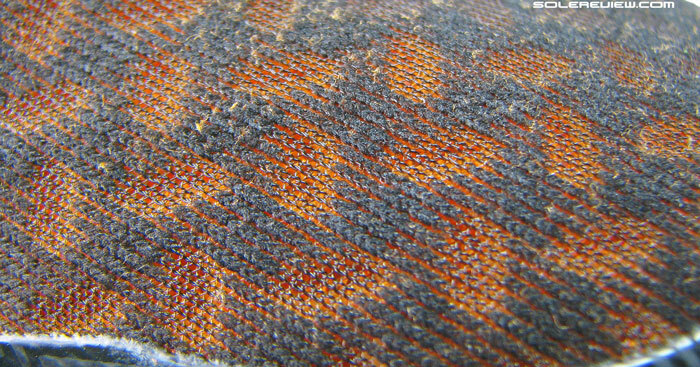 Collar lining uses a soft microfiber. 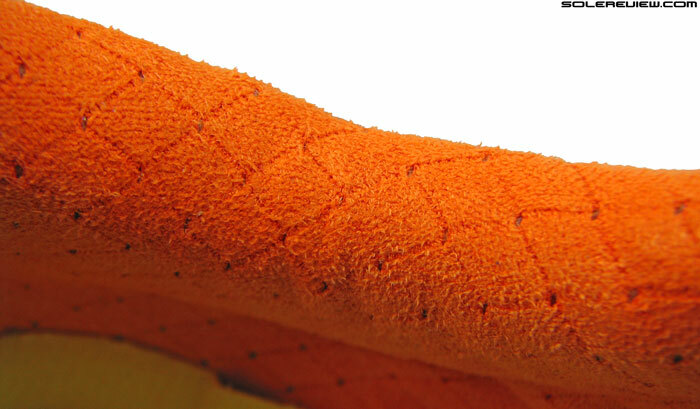 Heel part uses a soft microfiber lining backed with foam, and an internal counter stiffener gives shape and rigidity. Reflectivity makes do with a pair of triangular bits on the heel and another on forefoot, somewhat like what we saw on the GoRun Ride 4, only smaller. 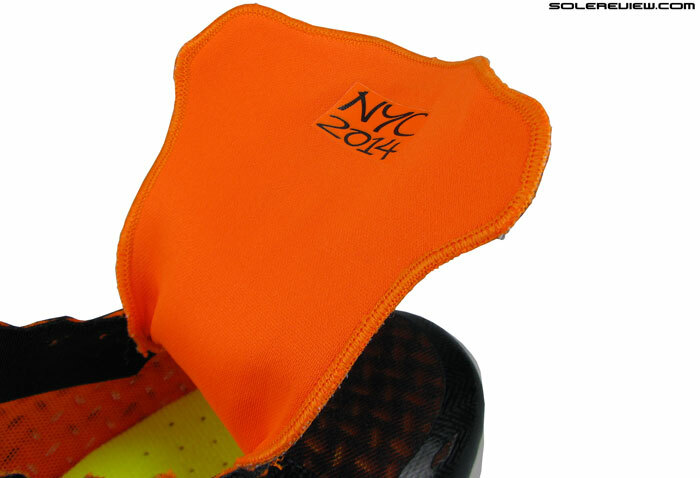 Molded insole is not removable by default, you need to gently peel it off the bottom. 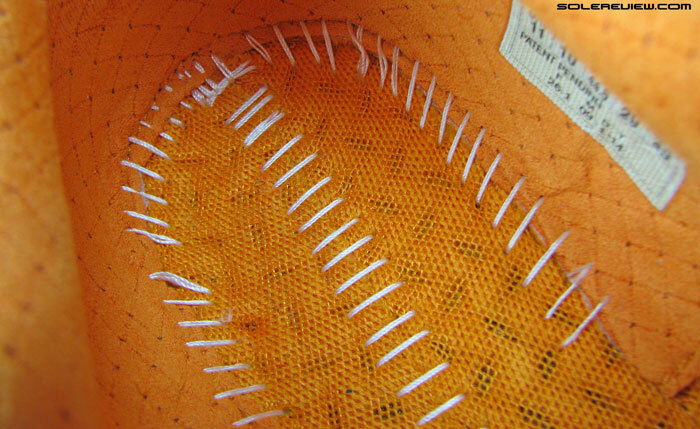 Instead of a strobel sheet, GoMeb uses the upper mesh as a base. This keeps it light and also allows better fitting around the midfoot waist. 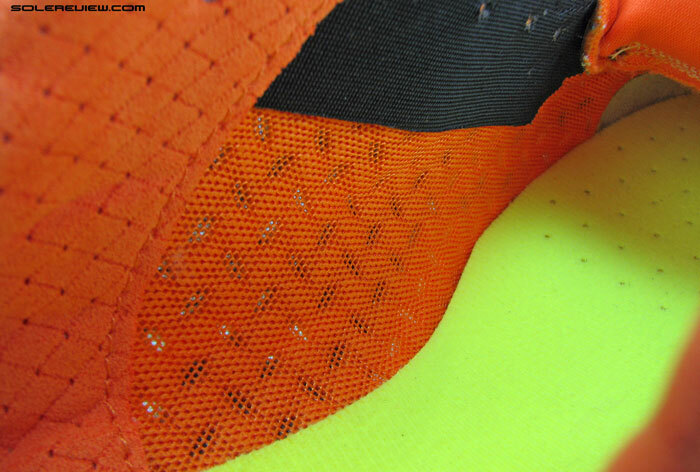 Insole is made of thin, soft EVA and is stuck to the bottom using adhesives. But the glueing is only in the center, which means a gentle peeling motion would have it come off the shoe. 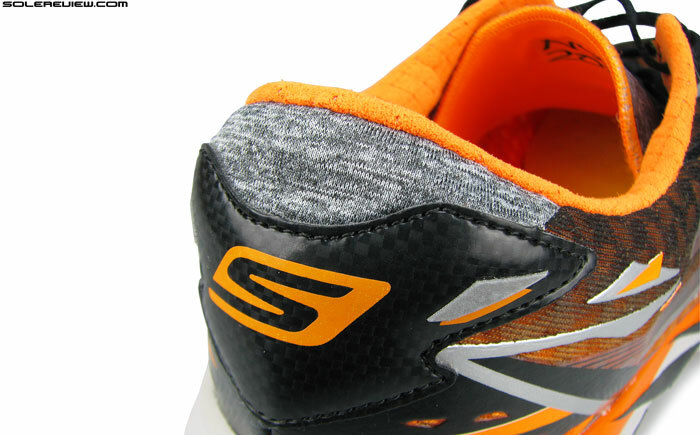 What you see below that is a deviation from the norm; instead of using a traditional foam or single layer strobel, Skechers uses the upper mesh in that area. This faux-slip lasting helps the shoe sit lower to the ground, while reducing weight. Read up our adios Boost 2 and Zoom Streak reviews; both of them also use thinner materials underneath the footbed. Design is the house regular – rubber pods seated over foam. Compared to GoMeb 2, the last four pieces seem to have moved backwards. The midsole is as low profile as it gets, with millimeter stack heights being 14 mm front and 18 mm heel – giving the GoMeb Speed a 4 mm heel to toe drop. Material is familiar injection molded EVA foam, but on the firmer side. Outsole has the faux-golf spike aesthetic seen on all M-Strike midsoles; circular rubber pods placed in their individual foam cavities. 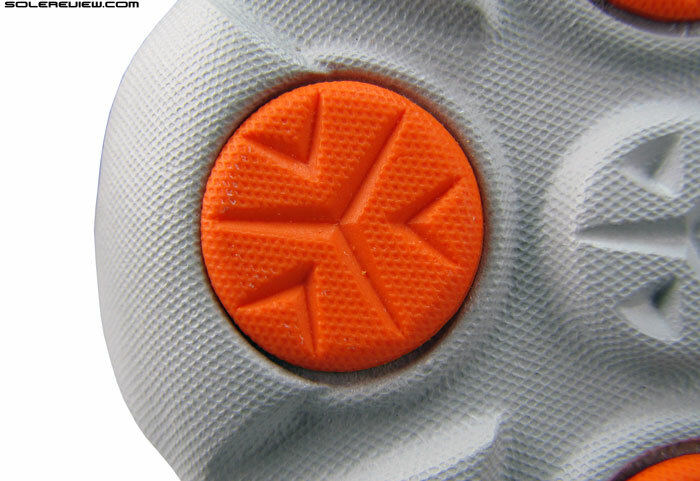 Looking at the pictures of older generation GoMeb, it looks like these pods went through some repositioning, with some of the pieces moving backwards and closer to the heel. A Dupont Delrin shank is used midfoot. The goal is to provide torsional rigidity, but in this case doesn’t quite do the job. In midfoot, Skechers uses something called a Dupont Delrin stability plate, a hard polymer meant to enhance midfoot rigidity. Even the last year’s GoMeb 2 had a similar insert, except that the material was another Dupont special called Hytrel. The latter incidentally, used to be a fixture in some of the early ‘Grid’ featuring Saucony shoes. Unfortunately, the Delrin plate fails to achieve its intended objective, something which we’ll talk about towards the end of this review. 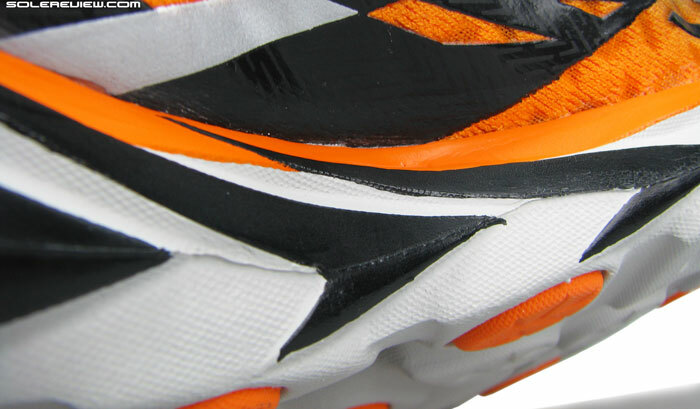 Upper fit is typical of most road racing shoes, which means that forefoot is narrow and form fitting. Take it for a spin around track, and you’ll be rewarded with a sensation of great forefoot lockdown. Great for doing your fast thing on synthetic. It does well on road too, making the shoe feel snappier as the foot is pinned closer to the midsole, and hence increasing ground feedback. Tongue feels great over the instep, and while the midsole has a narrow waist, the sidewalls don’t poke under-arch. On the flip side, if you’re looking for some splay room in the GoMeb 3, you won’t find it – better go with the roomier (and $20 cheaper) Zoom Streak 5. The GoMeb’s got a tight wrap over the small toe and hems in the big toe base on the medial side. Toe box is very shallow too. In a way, the fit mannerism is close to adidas adios Boost and no option of a roomier width exists. We’re hoping Skechers will start offering widths in shoes such as the GMS. They already do that for their walking products such as the GoWalk 3, so it’s not like there’s no precedent. Also consider the fact that GoMeb does not come with the custom insole option seen on the GoRun 4 and GoRun Ride, a feature which allows a certain degree of fit customization. The heel is stiff, maybe too stiff. Heel, despite its foam padded plushness resulting into adequate collar grip, could do with some design correction. The internal stiff counter makes the area feel overbuilt in relation to rest of the upper, and it also extends too high up. On the lateral (outer) side, the hard edges end barely 10mm from the collar. This has the marking of potential trouble; we did not feel anything amiss when wearing the GMS with socks, but once you go barefoot things change. The lateral side of the collar feels slightly overbearing around the back, and sensitive runners might potentially experience a higher level of discomfort. Like in many other instances outside of Skechers, the heel portion contributes to slightly lesser space behind the toe bumper. The toe box is shallow to begin with, so some will require a half upsizing. In the GoRun Ride 4, Skechers has a nice thing going with their ‘QuickFit’ heel design, so it is a mystery why they passed the GoMeb over. Can’t be about keeping the GoMeb more minimal. if that was the case, you wouldn’t have the rigid heel stiffener in the first place. 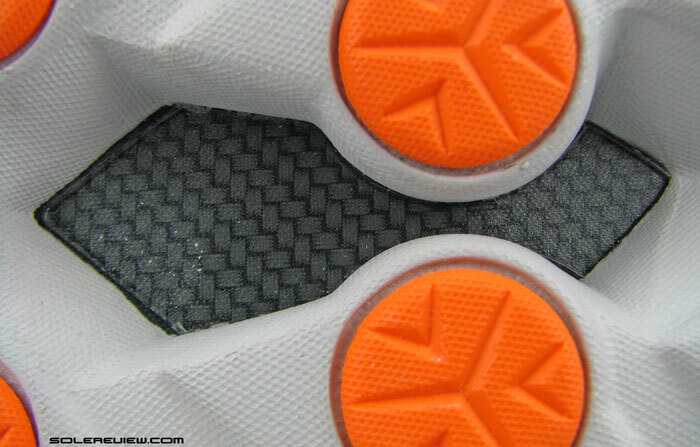 The midsole is firm and has a certain amount of responsiveness, which makes the ride and transition feel very efficient. The signature rocker design continues to make an appearance on the GoMeb, although Skechers has omitted the M-Strike callout this time around. 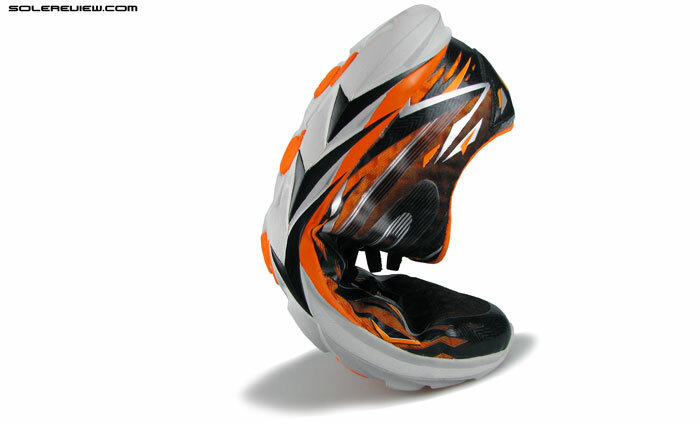 This promotes a late stage rear-foot strike, in the same vein as other Skechers trainers. Stable the shoe certainly is, helped both by lower stack heights and midsole foam density. 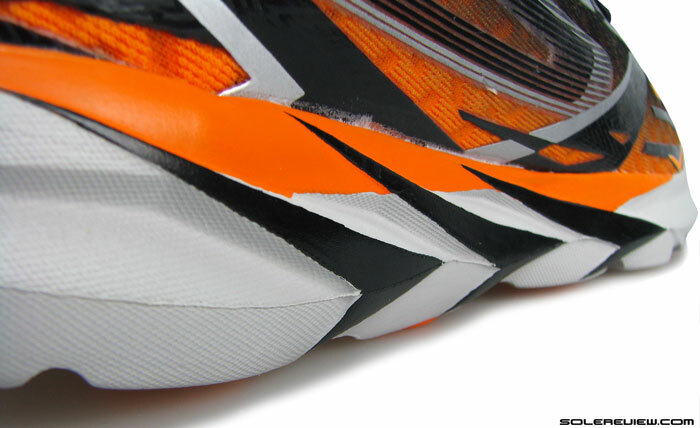 However, we question the outsole design’s functional efficacy in a few areas. Placement of rubber sections seem pretty random. There’re not in the high wear areas (like the Kinvara), nor follow the general transition path. So from a wear perspective, the quick shredding EVA takes most of the brunt, while the rubber inserts come through pretty unscathed. For the same reason, the ‘Goimpulse’ pods also feel slightly lumpy during weight loading. And by rubber being kept out of maximal contact areas, GoMeb completely depends on the EVA midsole for grip – an experience which can be best termed as average. Incorrect fitting. See how much spare gap the rubber has on one side. Correctly molded. Circular rubber should be seated flush in the cavity. Skecher’s midsole isn’t a thing of industrial perfection. Its injection molding is as accurate as the History channel, with seemingly huge variances. Some of the rubber pods don’t come fitted well, with foam expansion getting better of the intended design. There was a reader comment on our GoRun Ride 3 review, mentioning that the left and right midsoles were different in dimensions. As it turned out, the pair was incorrectly molded. Cringe. The shoe flexes in the wrong place – bad news for runners with delicate Plantar F.
There’s another red flag in GoMeb Speed 3’s midsole design, and that concerns its flexing behavior. Hold the shoe with both of your palms pressing down the heel and toe, and then apply some force. 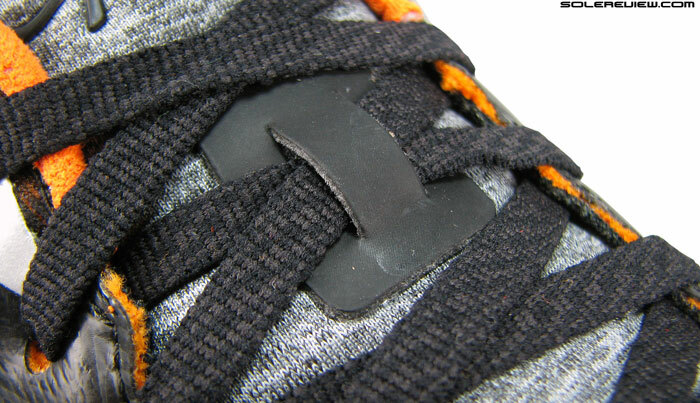 Instead of flexing in the forefoot, where it is supposed to, the shoe flexes right in the center. A cringe-worthy sight, because you know what that means. A caveat emptor for a certain percentage of the running population. For anyone with a tendency to flare up their Plantar Fascia, giving the GoMeb 3 a clear pass would be in best interest. Coming to think of it, Skechers is the antithesis of Hoka within the small club of upstart running shoe players. Skechers has evolved towards making better uppers, but still lacks in sole science. Hoka has their ride dialled in, but boy, do they need some work on their upper fit and quality. That is why we’re looking forward to something like the Skechers GoRun Strada, a new shoe which is an evolution of the standard Goimpulse outsole configuration. If you’re in the shoe market to kick off your Spring running season, and have a Kevlar reinforced Plantar, then consider the new GoMeb Speed 3 as a shoe with a few things going for it. Like a nicely built upper with premium materials, a ride which feels efficient and smooth and being extremely lightweight. However, some areas still need ironing, leaving tangible scope for improvement. Thanks for the review, it’s too bad you didn’t have a GOMeb 2 available for comparison purposes. I have it stopped using it after maybe 100 miles (and 3 10Ks) after realizing it was causing me some significant achille’s pain (I am sensitive in that area) unlike say the Adidas Adios Boost 2. Not sure it it’s because I need more drop (I’m a midfoot striker so it shouldn’t really matter) or of the design of the counter. The ground feel is pretty hard too and it’s got very little grip I found. Not that it really matters but I think the GoMeb 2 looks a lot better than the GoMeb 3 😉 It must have been lighter too because I weighed my US12 at 224 grams (w/insole as it is not removable) and you have 233 for a US11 ? I might use them for walking purposes in the future…a bit of a waste admittedly. Yup, average grip. Not sure how the ground feel compares to Meb 2 – Skechers has tinkered around with densities in GRR 4, so a similar case might be applicable here. Just guessing. Yes, 233 gms for a US 11 on our pair. 224 for a Meb 2 US 12? Much lighter then. Yeah I’ve got the Speed 2s and in a US 13 they are 230 grams. Was hoping the Meb 3 was going to be stiffer underfoot from the midfoot to forefoot (much like the adios with its torsion system). After running a marathon in October in the Speed 2 with much success, especially for a 6 some oz. racing shoe I felt if they could just add a bit more structure underfoot it really would be a great shoe for those of us that like a more minimal shoe (4mm offset and light, yet responsive) for road racing. I like the adios boost a lot in nearly all aspects (and consider it probably the best overall road shoe I’ve run in) but just wish is was 4-6mm offset rather than 10. Agree also that they need different rubber placement…never understood the impulse sensor idea and wish all their shoes had more rubber in the forefoot especially. Thanks for the confirmation on weight. Wonder why that (increase) is. Hopefully in due time Skechers should sort the shoe out, if upper improvement(s) on the GRR4 is any indication. Having battled PF that last pic was horrifying. I’ve always wondered if elite athletes play/run…in the exact same product sold to the general public. I can’t imagine keflezighi could compete in a product with that much flex in the center of the shoe. While can’t be sure, doubt that. Usually, elites get their own custom fitted and modified shoes. Let’s see, back in the day Brooks had the John Walker model…seems like Seb Coe had a signature something or another… And didn’t Nike give Alberto Salazar his own shoe for a while? Can’t seem to recall any others. See? Not many at all – and none in recent history. Hi sole review. I’m looking for a shoe I’m going to use to warm up in for track training. Some jogging a, drills, stridings. The weather I live in is humid and hot. Should I go for the adidas energy boost (first version) or the Adidas energy boost ESM? The one with the breathable mesh? Thank you! Go for the Energy Boost ESM. If you want more breathability, suggest shoes like the adidas adios Boost 2 and Boston Boost, and Nike Zoom Streak 5. Also request to post your question under the correct review – this review is unrelated to adidas shoes. It is a bit disappointing to read about the small toe box. I’ve been enjoying the GoRun 2 as a training shoe (lightweight, good ground feel, very airy comfy upper, wide-ish toe box) and heard that the Speed 3 was meant to be getting a wider toe box too. I was hoping with its firmer snappier sole that it would be a good road racer for me (5k to marathon). Surely a wide toe box is a must for any minimalist shoe to allow for a bit of splay. Any other recommendations for a faster shoe in the minimal end of the spectrum (~4mm drop) with a wide toe box? A touch of arch support would be nice. PS. Just discovered this site and am enjoying the detailed reviews. Thanks! You could try the Nike Zoom Streak 5 (wide F/F yes, arch support not so much) or LT 2. We might think the Mizuno Hitogami to be a good candidate,though can’t say for sure till we review it next month. Thanks for the review, when will you review the Mizuno Hitogami? Our personal picks? The NB Zante and 1500 v1, the Nike Lunar Tempo. Out of the two shoes you’ve mentioned, we’d pick the LunarTempo. However, neither the Tempo or Meb will last as long as a shoe with a full rubber outsole, so would recommend a shoe like the adidas Glide Boost or Pegasus 31/31. Out of those, Glide Boost is the stabler of the two.